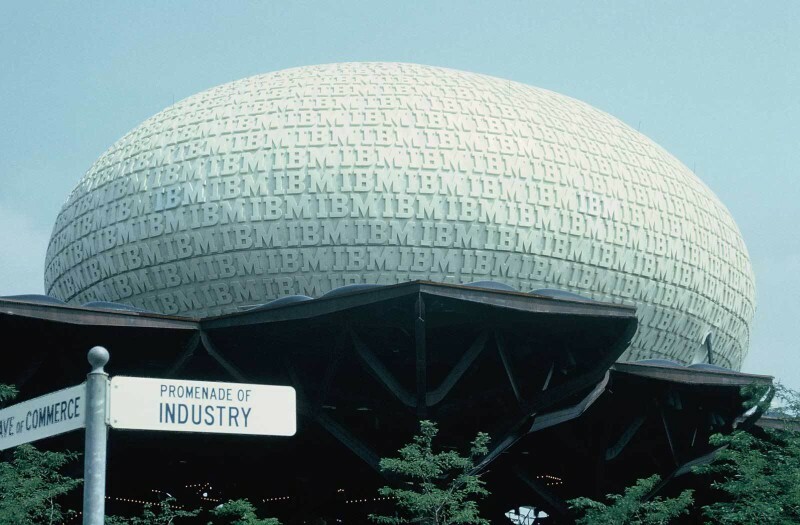 The entire IBM pavilion was designed by Charles Eames and Eero Saarinen Associates. The Eames Office curated the entire IBM Pavillion, with many movies and exhibits on the ground floor. 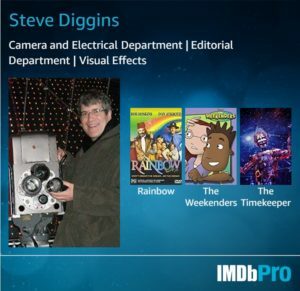 The climactic feature was the movie THINK, shown in the egg-shaped structure which towered 90 feet overhead. This movie gives the viewer something of the entire pavilion experience, including THINK. A multi-screen presentation at the Ovoid Theater of the IBM Pavilion of the New York World’s Fair, Think was projected on 22 separate screens (shaped in circles, squares, triangles, and rectangles), and included a live host. The 22 images were not projected simultaneously, and included live and still motion and animation. 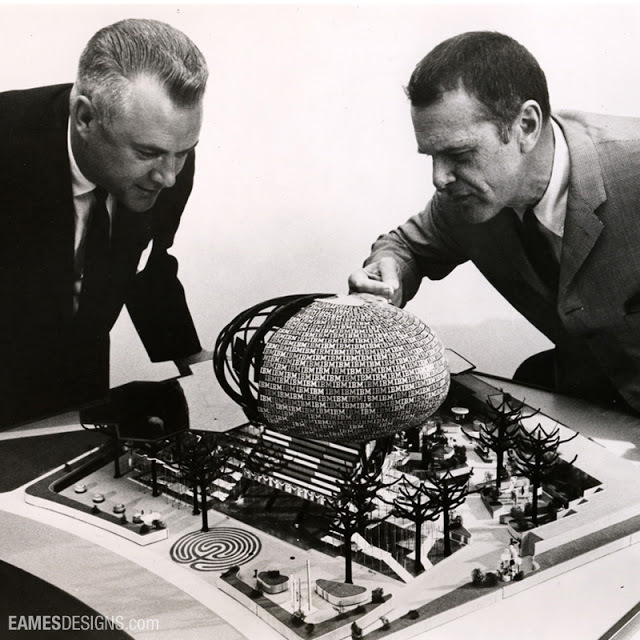 The IBM Pavilion, including the Ovoid Theater, was designed by Eames. Think is available in a single screen version titled View From the People Wall: A single screen condensation of the elaborate multi-image show at the IBM Pavilion in New York, aimed at showing that the complex problems of our times are solved in the same way as the simple problems, they are just more complicated. Musical score by Elmer Bernstein. The husband and wife team of Charles and Ray Eames had an especially strong influence on IBM’s thinking. 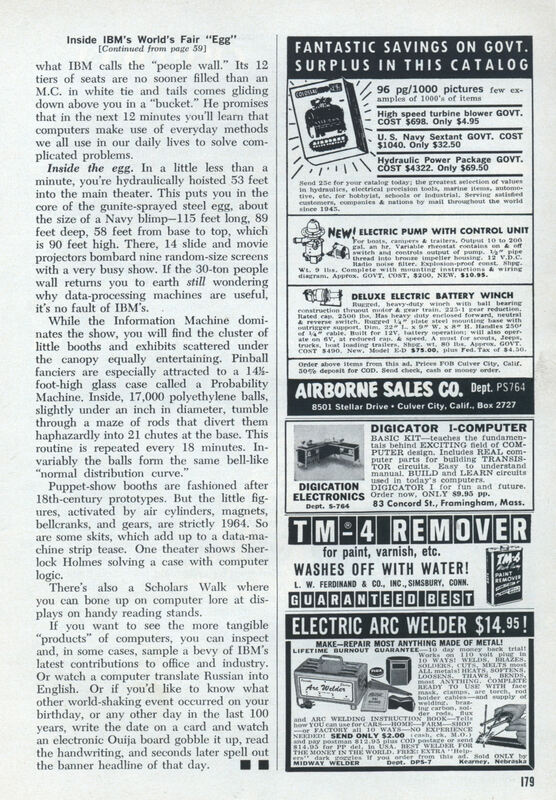 They were best known at the time for their molded-plastic and plywood chairs. 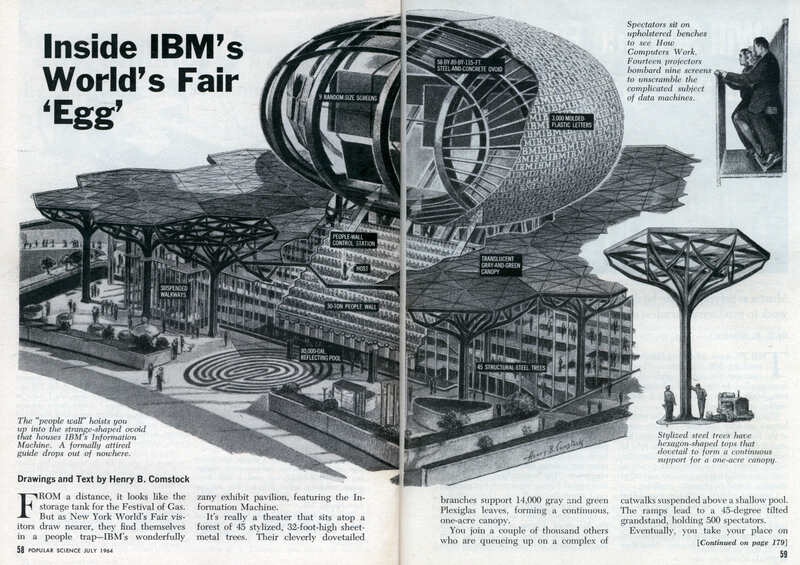 But for IBM, the couple designed everything from the exhibit at the 1964 World’s Fair, to the film Powers of 10, to the famous exhibit Mathematica, to dozens of educational films for school and television that helped teach generations about science, math and technology. As designers, Charles and Ray Eames were problem solvers. They dedicated themselves to making things better, not just different. “They taught that if you don’t understand something, you can’t design it,” says Lee Green, the vice president in charge of IBM’s Brand Experience and Strategic Design. “Design has to be purposeful. It’s not about cosmetics and decoration. It’s about substance.” Or, as Charles Eames put it, “Design is a plan for arranging elements in such a way as best to accomplish a particular purpose.” By that definition, IBM’s researchers could be seen as designers, and its designers have been researchers and teachers.